This is the debut album of this German metal band. 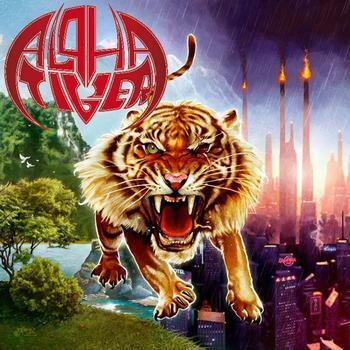 Actually this is their debut under the name of ALPHA TIGER. The band until early 2011 was called SATIN BLACK and under that name they released in 2008 the album “Harlequin” and the demo “Martyr’s Paradise” in 2010. The style of this album is U.S. power metal band with some European power metal elements while SATIN BLACK had a more thrashy direction. I have to say I really liked the alum. The vocals of Stephan “Heiko” Dietrich are really divine and the guitar work is really fantastic! I really enjoyed the whole album but “Starrider”, “Against the Time”, “Karma” and the homonym of the album really blew me away!! This is until now the album of the year!! So the friends of the classic metal stuff should buy it without a second thought! We are already waiting anxiously for their next effort. P.S. : The cover of the album is also really great and not like some idiot computerized covers!! !